A fantastic start to the game, with end to end hockey and no whistles until 4:31 into the first. The pace remained high, as the Bulldogs pushed and took a 1-0 lead three minutes later as Owen Johnson stepped up at centre ice to knock the puck away from Nick Halagian to create a 2 on 1 rush. Cayden Kraus would find the loose puck, and send Chris Sarault over the line up the right side and into the deep slot where he walked in and out waiting Stefan Wornig before snapping one home top corner, short-side high at 8:11 of the first. The Bulldogs kept up the pressure, and ran up a large advantage in shots but Stefan Wornig was solid to keep the Kings within one. The Bulldogs scored to take a 2-0 lead, but the same Officiating crew as the night before made another very puzzling call to not count it. On the play, Quinn Syrydiuk walked to the net in tight and put a shot on goal from in tight as he was hit by two Powell River defenders. The puck appeared to go off Wornig, and then off Syrydiuk before ending up in the net. Stefan Wornig - who appeared to never take any contact, better yet a serious amount - was adamant that it was batted in by Syrydiuk with his hand. The Referee immediately at the net in perfect position, would adamantly and repeatedly signal goal on the play. As the Bulldogs were celebrating, the second Official entered the zone from somewhere back a couple of zones away and a discussion between both Referees and Linesmen went to the Officials circle. The original call would be reversed, and the goal would be waved off, due to incidental contact on the goalie. As the replay would indicate, this call came out of thin air. In the end the Dogs would hold a 1-0 lead after 20 minutes, and a 19-10 lead in shots. The second period was noticeably tighter, with less of the end to end play through the early stages. The Bulldogs had some great chances to build their lead, but Wornig was solid to keep it 1-0, coming up with good saves on Cayden Kraus in alone and Nathan Dingmann in tight with the Dogs holding 30-14 lead in shots through the midway point of the period. The Dogs earned a power play soon afterwards, but gave up the equalizer when the Kings won the opening draw and cleared it down ice. Brody Claeys would go behind his net to play it, and initially fake like he was going to rim it up the boards before then just dropping it behind the net. The first man to find it unfortunately was Austin Kamer, who wrapped it around before Claeys could get back to his net to make it 1-1, unassisted at 12:01 of the second. The Bulldogs pushed but failed to capitalize on the power play, and then fought off a Kings power play soon afterwards to keep it tied at 1-1 headed into period three. Shots in the period favoured the Bulldogs 16-12 in the frame, for a 40 minute advantage of 35-22. The Bulldogs came out and played the third period like a team possessed, generating a ton of chances that were kept out by Wornig early. The Dogs appeared to score for the second time in the game, but stop me if you've heard this before, the goal was disallowed, again incredibly. Wornig would make a great initial save on a deflection, but would pull the back in an attempt to cover it. He would miss covering it, and put it right through his legs and over the goal line. It looked like a King defender also put it over the line in an attempt to save it. The Bulldogs would celebrate, the goal light would be turned on - it certainly looked at bare minumum over the line at least once to me. The Referee at the net would make no signal, looking apparently completely perplexed at the sequence of events. In the end, it was no goal AGAIN, for the second time in the game and the third time in six periods by the same two Referees which might have had something to do with the angrier than usual response from the Dog Pound faithful. Later in the period it was announced that the goal was waved off due to the whistle going first. While it was no doubt a bitter pill to swallow, at the very least it was a plausible reason as it's hard to blame the Official for anticipating that Wornig was going to cover the puck, not miss it and put it into his own net. The Bulldogs would continue to push, but Stefan Wornig would come up time and time again with fantastic saves to keep it tied. Brody Claeys would also come up with a big stop on a net drive with just under seven minutes to go on Johnny Evans as he stacked the pads to get something on it to keep it out. The Bulldogs would earn a power play with three minutes to go, but couldn't capitalize. The Kings would have a fantastic chance to win the game on a draw in the Dogs end with less than 20 seconds to play, but Chris Protopoulos saw his shot hit the outside of the bar and stay out, as the Dogs cleared the puck to kill the clock and gain a single point to qualify for the playoffs and set off a wild celebration in the building with the game not even over. Shots in the third favoured the Bulldogs 21-3 in the period, for a 60 minute total of 56-25. The Dogs would control the play in overtime, and finally find the winner - I'm still surprised it wasn't somehow waved off after the fact - as Eric Margo went to the net and saw a rebound off a Rhett Willcox shot hit him and go past Wornig for the 2-1 final and another wild celebration as the team poured off the bench to celebrate. Quinn Syrydiuk also drew an assist at 2:04 of the first overtime. Shots in OT favoured the Bulldogs 5-0 in overtime for a game total of 61-25, a season high. Brody Claeys picked up third star honours with the win in net while Stefan Wornig was outstanding in the Powell River goal in getting tagged with the loss. The Dogs went 0 for 4 on the power play while the Kings went 0 for 2 while scoring once while shorthanded. With the win the Bulldogs have secured the fourth and final playoff spot in the Island Division, as they will visit the Nanaimo Clippers for Game 1 and 2 of a best of seven in Nanaimo next Friday and Sunday before hosting Games 3 and 4 next Wednesday and Thursday. It's the finale of the regular season today as the Bulldogs (21-27-4-4, 4th Island) host the Powell River Kings (33-20-3-1, 2nd Island) at the Dog Pound. These teams met last night at the Dog Pound, where the Bulldogs picked up a 6-2 win and two huge points to take over the fourth and final playoff spot in the division. The stakes are simple. Win, and you're in. The task at hand however is anything but simple. The Bulldogs have gone from a position on Friday where they didn't even control their own destiny, to a position today where a single point clinches a playoff spot. Having said that, the Bulldogs haven't accomplished anything yet. A win last night is all for nothing if the Dogs end up on the outside looking in at the end of the day tomorrow. As we have for the previous 57 games, we'll bring the game to you if you can't make it to the Multiplex through your radio on 93.3 The Peak FM. The pregame show on Pacific Chevrolet Bulldogs Hockey commences at 1:45, with the puck drop is scheduled for 2:00pm. 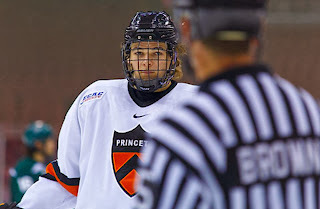 Today's 2nd Intermission guest is former Bulldog Marlon Sabo, who is currently in his Junior season with the NCAA's Princeton Tigers. Bulldog fans will no doubt remember Sabo as a towering defenceman, Having said that, making your way in this game sometimes includes adjusting and embracing a role that is given to you by your coaches - if you missed the interview with Ryan Lough last night, Marlon has recently been playing up front, even taking faceoffs! 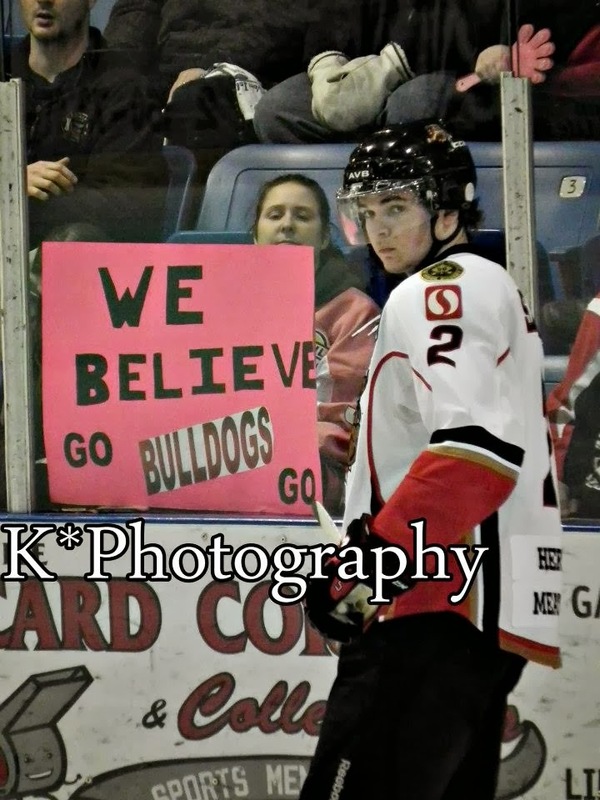 Bulldog fans will not only remember, but most likely never forget Marlon's overtime game winner at a sold-right-out Dog Pound in Game 4 of the 2012-2013 Island Final series. The goal helped the Bulldogs stave off elimination. As you might have also seen on the blog yesterday, they won the series also in overtime in the deciding fifth game of the series in Victoria. The Bulldogs got off to the start they wanted, drawing an early power play and connecting on it in the first minute of the advantage when Garrett Halls took a hit to keep the puck in at the left point with his skate before jamming it down the boards for Ryan Finnegan. He would walk into the left circle to the slot and then go back against the grain and onto the tape of Chris Schutz who snapped it home far-side past Stefan Wornig to make it 1-0 at 3:13 of the first on the power play. The Kings would have some great chances around the Bulldog net in the following minutes but couldn't get a bounce to go as it stayed 1-0. The Dogs would double their lead at the midway point of the period when Tristan Bukovec pursued the puck into the Kings zone after failing to squeeze a pass, but battled to find it and split the defence before being pulled off the puck. He would get it back a third time before finding Jordan Sandhu who sent Chris Schutz to the slot where he again fired one home far-side past the blocker of Wornig to make it 2-0 at 10:59 of the first. Just 23 seconds later it was a 3-0 Bulldogs lead when Nathan Dingmann put the puck down the right wing boards to Adam Donnelly, who threw the puck to the slot where it was deflected in by Ryan Finnegan. The Referee would initially wave it off, before a split second later ruling a goal saying that it wasn't a high stick - I didn't personally see a high stick. After a long discussion, the goal would stand, with Donnelly and Dingmann assisting at 11:22 of the first. Mere seconds later it was a 4-0 Bulldog lead - or so it appeared - when Stefan Wornig failed to cover the puck, allowing Tristan Bukovec to find it and fire it into an open net. The Referee at the net would rule goal, and the Bulldogs would go and celebrate. The second Referee would then approach the first one in the Kings zone and bring about a discussion that led to the goal not being allowed due to incidental contact with the goalie. This certainly felt like a manufactured call, perhaps due to a controversial goal being allowed just seconds earlier. Any contact was at best marginal, and due to a King defender contacting a Bulldog. In the end it was no goal as the Dogs carried the 3-0 lead into the second. Shots favoured Powell River 12-11 after the first. The Bulldogs built their lead to 4-0 before the five minute mark of the second when Jordan Sandhu found a loose puck off a draw in the Powell River end and set up Chris Schutz in the hashmarks where he snapped one home top corner over the glove of Wornig at 4:54 of the second. The Bulldogs would have a handful of chances throughout the period on pucks to the crease on cross-ice passes that resulted in some promising looking moments on open nets but none of them found the net as there was no further scoring throughout the period. The Kings out shot the Bulldogs 11-9 in the period for a 23-20 advantage after 40 minutes. The Kings got on the board to trim the gap before the two minute mark of the third when Nick Halagian walked over the Bulldog line and stole the puck after initially losing it to skate in alone on a quick breakaway where he cut across the crease and put it home five hole on Claeys. The goal was unassisted at 1:44 of the third to make it a 4-1 game. The Bulldogs would answer back in short order to restore their lead as Garrett Halls put a shot on net from the right point low along the ice where it was deftly deflected by Eric Margo through the legs of Wornig to make it 5-1 at 3:02 of the third. The Kings would push, but the Dogs would push back to make it a 6-1 game on a nice cycle by Eric Margo out of the right corner and up the wall before dropping it to Owen Johnson who came down from the right point and walked deep before putting a hard cross-crease pass to Rhett Willcox who one-timed it home into the open side at 11:17 of the third. Before the celebration died off, the Kings silenced it by making it a 6-2 game as Johnny Evans went to the net and found a broken up pass off a Bulldog back checker and walked in tight where he lifted it high past the glove of Claeys. Assists on the play went to Curtis McCarrick and Nick Halagian, just 17 seconds after the Dogs goal at 11:34 of the third. The Dogs would control the better of the play the rest of the way, but the best chance might have went to the Kings on a giveaway at the Dogs line resulting in a breakaway for Curtis McCarrick late in the contest that Claeys kept out to make it a 6-2 final. Third period shots favoured the Kings 12-11 for a game total favouring Powell River of 35-31 with Brody Claeys picking up the win while Stefan Wornig took the loss. The Dogs went 1 for 3 on the power play while the Kings went 0 for 2. With the win, the Dogs have won two in a row and have run their points streak to five games in overtaking the Grizzlies for 4th place in the Island Division by two points . They can clinch a spot with a single point tomorrow when they host the Kings at 2:00pm. It's the kick off to a regular season ending double header tonight as the Bulldogs (21-27-4-4, Tied 4th Island) host the Powell River Kings (33-19-3-1, 2nd Island) at the Dog Pound. The Bulldogs were last in action Sunday afternoon in Surrey, where they extended their points streak to four games (two wins, a tie, and overtime loss) with a 6-2 win over the Eagles. The Kings meanwhile were in Victoria last night, where they did the Bulldogs a big favour in beating the Grizzlies 6-2. The loss for Victoria means that the Bulldogs now control their own destiny. With Victoria holding the first tiebreaker - most wins - it was possible before last night's result that the Bulldogs could have won their two remaining games but still ended up out of the playoffs if the Grizzlies also won both of their contests. The picture is now a bit clearer - two Bulldog wins, and they are in. These teams last met January 22nd in Powell River, a 3-1 Kings win. The last meeting at the Dog Pound was a 6-1 Bulldog win on January 10th. The Bulldogs will need to bring their absolute best plain and simple, with the stakes as they are as they try to qualify for the playoffs and extend their season. The Kings are always a tough team to play against, Kent Lewis' teams always play hard and are always solid fundamentally and don't give up much and make you earn anything you are going to get. The Kings are locked in their position within the Division as they unable to move up in the standings and catch the Clippers and unable to be caught by Cowichan as they have 2nd place and home ice advantage in the first round clinched. It's always an interesting scenario, as while the Kings might not have the desperation that comes with fighting for something you can certainly bet that they will want to be playing good hockey to go into the playoffs on a confident note. Sometimes playing without pressure can be both a good thing and a bad thing, it's a fine line between loose and relaxed and being too loose and relaxed. The Kings have been red hot in February, running up a 6-1-1-0 record. The second "1" is a tie - when the new league website launched the standings were changed from win-loss-tie-overtime loss to now read win-loss-overtime loss-tie. Call me old school I guess! We'll have all the action from start to finish covered for you on Pacific Chevrolet Bulldogs Hockey on 93.3 The Peak FM. As always, the pregame show begins at 6:45, with the puck drop and game action to follow at 7:00ish. Dan Tisserand will compile and provide team and player statistics, Bruce MacDonald will add the colour and analysis and I'll call the play-by-play. Tonight's 2nd Intermission guest is former Bulldog Captain Ryan Lough, who is currently playing in his sophomore season with the NCAA's St Lawrence Saints. 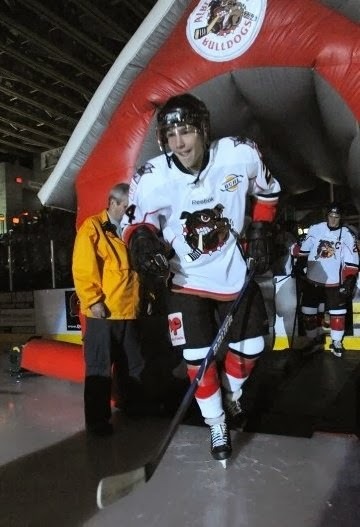 Along with scoring the game winning goal in the first round of the 2012-2013 playoffs against the Nanaimo Clippers in the fifth and deciding game of the series, Ryan also assisted on the overtime game winner in the fifth and deciding game of the Island Championship series over the Grizzlies. 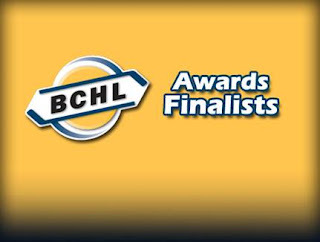 The BCHL announced the finalists for their season ending awards yesterday in advance of the winners being announced on Friday. 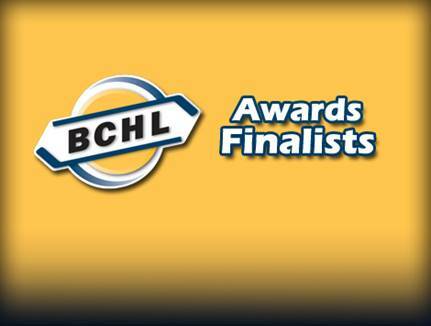 Chris Schutz is the lone Bulldog nominee, with Paul Meyer and Jordan Sandhu also receiving multiple votes. I'm somewhat surprised that Nathan Dingmann didn't receive a nomination or at least multiple votes for Rookie of the Year, considering he's top 10 in rookie scoring... but it's a big league and there are lots of deserving players of course. Port Alberni, BC – The Alberni Valley Bulldogs and the Alberni Clayoquot Regional District are teaming up to celebrate our emergency first responders and encourage personal emergency preparedness. 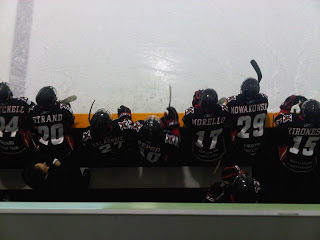 On Saturday, February 27, the Bulldogs take on the Powell River Kings in the second-to-last home game of the regular season. This game is a huge opportunity for the Bulldogs, who are fighting for a playoff spot. Fans, come on out and cheer – let’s help the Bulldogs win this one and advance to the playoffs! During a ceremonial faceoff we will be honouring those that are there for our community in emergencies and disasters: Our first responders. They include volunteers and professionals that provide services including search and rescue, ambulance, radio, firefighting and more. There will also be information, contests and giveaways to promote personal emergency preparedness in the Alberni Valley. Fans arriving at the Multiplex on Saturday night that confirm they have a Grab and Go bag will be entered to win a Briggs and Stratton Generator worth $699. The ACRD, in partnership with PreparedBC, will also be on hand to provide information on how you and your family can be prepared in the event of an emergency. It’s as easy as 1, 2, 3: Know the risks, draft a plan, create an emergency kit. So bring your family and your friends. 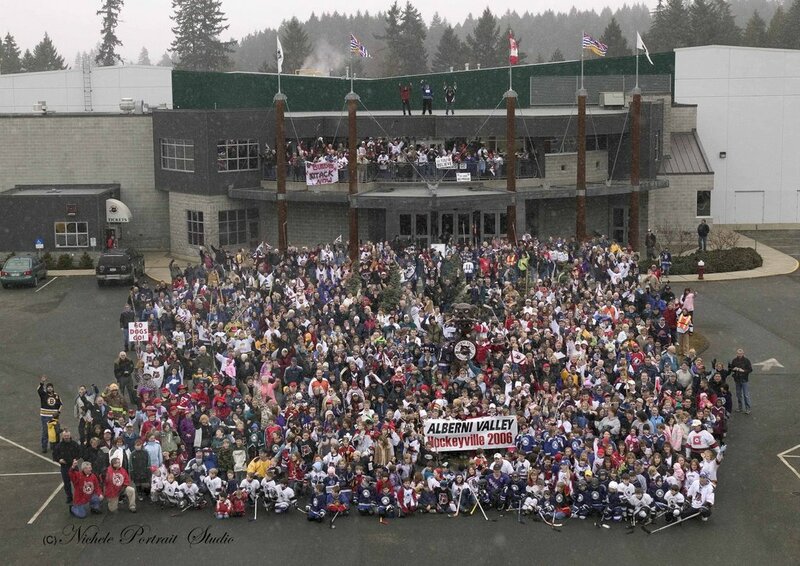 Bring an emergency responder – Let’s show them how much the Alberni Valley cares! For further information or comment on the above story please contact Alberni Valley Bulldogs’ director of sales and marketing Jolie McMullan at 250-723-4412 or jolie@albernivalleybulldogs.ca. A spirited start to both sides of the puck in this one, which was perhaps somewhat surprising due to a 15 minute delay to the start of the game with the Eagles presenting their team awards on the ice before the opening puck drop. The Dogs had a great chance just 10 seconds into the game on a pretty passing play, but Justin LaForest made a left pad save on Ryan Finnegan skating in alone. The Eagles would take a 1-0 lead just short of five minutes in on a careless giveaway by the Bulldogs in their zone and the defence went D-to-D across the zone but lost the puck, as Logan Mostat skated onto it and in alone on the breakaway where he went top corner, far-side over the glove of Carson Schamerhorn. There would somehow be two assists given on the play to Kurt Black and Robert Johnson, when the Dogs had possession and coughed it up.... the time of the goal was 4:43. The Dogs responded in a big way, tying the game less than a minute later when Owen Johnson put a blind spinning wrister on goal from the right point. Tristan Bukovec would deflect it home short-side past LaForest, tying it at 1-1 at 5:36, with Johnson and Jordan Sandhu drawing the assists. Just 26 seconds later it was 2-1 Dogs as Troy Dobbs put the puck below the goal line for Liam Conrad, who put a quick pass out front to the lip of the crease where Cayden Kraus one-timed it under the cross bar at 5:52 of the first. The Dogs kept up the pressure, and after a handful of near misses took a 3-1 lead when Chris Schutz one-timed a Jordan Sandhu pass in the slot wide of the net long-side. It would rim back to the top of the left circle, where Owen Johnson put a low slapper at the net where Tristan Bukovec deflected home his second of the period up and under the cross bar on LaForest at 7:51 of the first to give the Dogs a 3-1 lead. They wouldn't be able to build on it though, as the Eagles fought back to make it a one-goal game in the back half of the period when they won a faceoff in the Dogs end that was found by Robert Johnson, who ripped a quick release from the left circle top corner, far-side over the glove of Schamerhorn to make it 3-2, un-assisted at 11:54 of the first. The Dogs were unable to connect on a power play Shots favoured the Bulldogs 14-9 after 20 minutes. The Dogs failed to connect, or impress, on a one-minute plus power play to kick off the second. The period was nothing like the first, with not much in the way of scoring chances for either side through the first half of it. The Dogs created a couple good looks in the back half of it, but on what were pretty good opportunities they failed to hit the net. They drew a four minute power play in the back half of the period when Adam Donnelly was cut with a high stick. After a couple good looks early failed to find the mark, the rest of the way they didn't look especially sharp and the puck didn't cooperate as they couldn't generate much. Shots in the period favoured the Bulldogs 11-4 for a 40 minute advantage of 25-13. The Bulldogs put on a very good push to start the third period, and were rewarded for it just over five minutes in as Jordan Sandhu found Troy Dobbs on the right wing wall, where he put a perfect heads up pass through the slot to Own Johnson who ripped one home top corner, far side over the glove of LaForest for his first as a Bulldog, against his old team, to make it 4-2. The score would stay that way until the late stages, with the Dogs coming up with a big penalty kill with just a shade over four minutes left to protect the lead. At the second the penalty elapsed the Dogs rubbed some salt in the wound as Tristan Bukovec walked to the net and delayed and out-waited the goalie before dishing off to Chris Schutz who one-timed it into the open side to make it 5-2 with Marshall Skapski also drawing an assist at 17:53 of the third. A few seconds later it was a 6-2 game as a Marshall Skapski shot missed the net, but was found by Cayden Kraus who put it back out front to the slot for Rhett Willcox who snapped it home into the open net at 18:39 for the eventual final score. Shots in the third period were even at nine aside, with the game total favouring the Dogs 34-22 with Carson Schamerhorn picking up the win while Justin LaForest took the loss. The Dogs went 0 for 4 on the power play while the Eagles went 0 for 4. With the win the Dogs extend their points streak to four games - two wins, a tie and an overtime loss - and they also keep pace with the Victoria Grizzlies for the final Island Division playoff spot as the Grizzlies beat the Rivermen in Langley 4-0 earlier in the day. The Dogs wrap up their regular season Saturday and Sunday when they host Powell River. 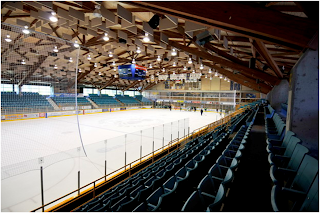 It's the final game of a three-in-three road trip, and the final regular season game away from home for the Bulldogs (20-27-4-4, Tied 4th Island) this afternoon as they visit the Eagles (7-44-0-2, 6th Mainland) at the South Surrey Arena. The Bulldogs were in Merritt last night, where they fell 3-2 to the Centennials in overtime, The Eagles had last night off - they were in action Friday night at home where they lost their fourth in a row, 7-3 to the Cowichan Valley Capitals. It's the final home game for the Eagles this season, as their year ends with four straight games away from home. These teams last met January 23rd at the Dog Pound, where the Bulldogs posted a 5-2 comeback win. It's the third straight game that the Bulldogs will need to adjust to a different playing surface, as they go from smaller than regulation in Prince George and Merritt, to larger than regulation and the International sized sheet in Surrey at 100 feet by 200 feet. It's more room to skate and go wide and be creative offensively, but it's also more room to defend as well. The Dogs will need to be ready to skate, however in their own end they need to not stray to far from the "house" and get lost in no-mans-land away from their net. The zone is the same distance between the faceoff circles - all the extra room is on the outside. Note the late afternoon start today - that means the pregame show on Van Isle Ford Bulldogs Hockey takes to the 93.3 The Peak FM airwaves at 3:45, with the play-by-play to follow just after 4:00pm. 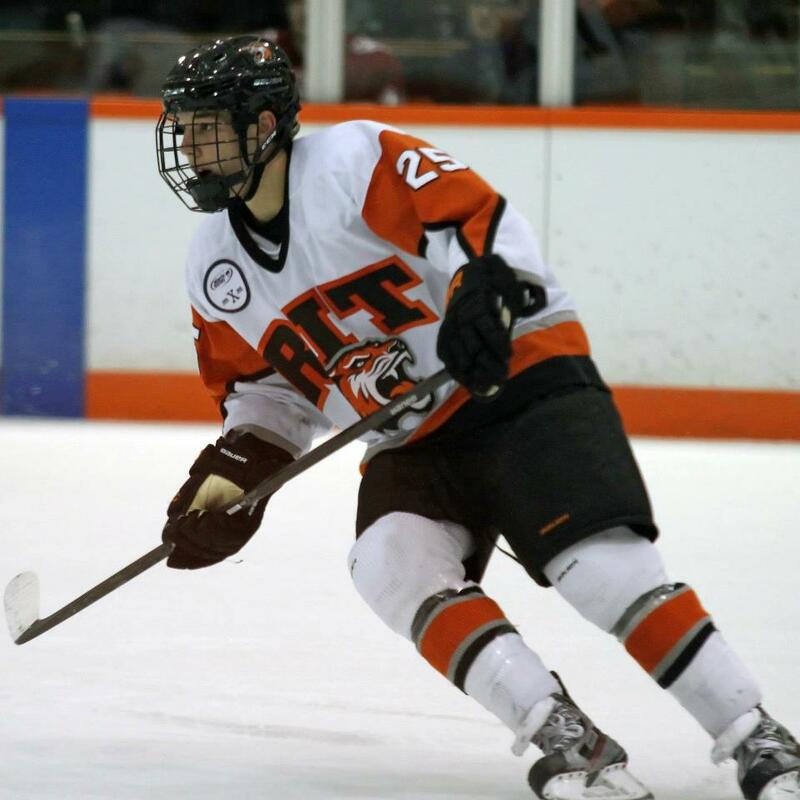 Today's 2nd Interission guest is former Bulldog Josh Mitchell, who's currently playing his Senior year with the NCAA's RIT Tigers. 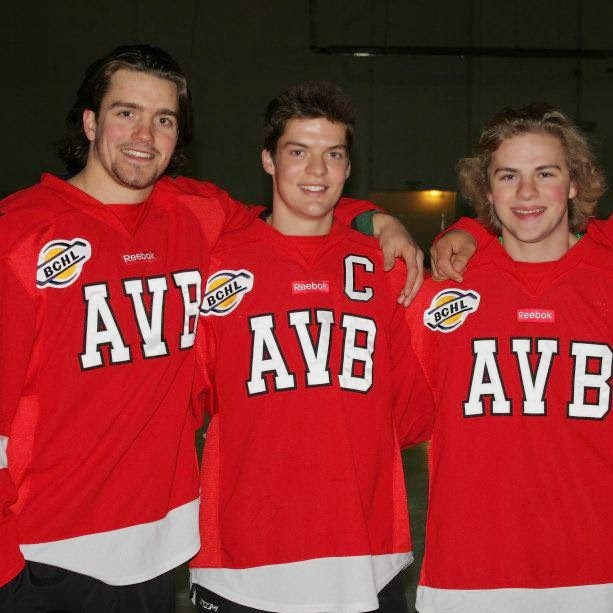 Josh came to the Bulldogs in the 2009-2010 season, when he played with his brother Sam. 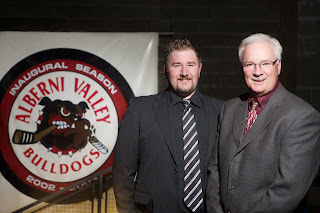 He was the Bulldogs co-MVP during the 2011-2012 season, sharing the award with then-Captain Trent Dorais. 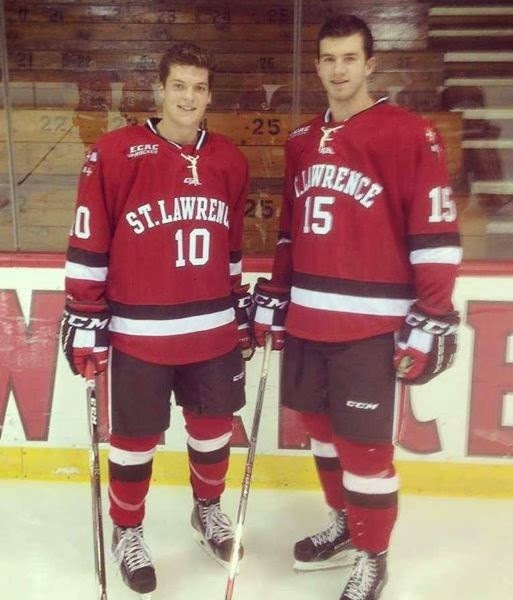 It's incredible how fast time flies, as it feels like just yesterday when Josh was playing in a Bulldog jersey, and now he's into the back-half of his final year of NCAA Hockey. A much better start to this game compared to the night before, as both teams played with purpose and were obviously ready considering the stakes. Neither team found the net through the first half of the opening period, with their being not much in the way of glaring scoring chances but a handful of pucks getting on net. The best chance of the period might have been for the Bulldogs as Braydon Nelson walked down the right wing and put a shot on goal far-side that Colten Lancaster turned away with his blocker, but gave up a big rebound on. Cayden Kraus would one-time it on goal, but Lancaster got over to just get enough of it to keep it out. The Bulldogs would take back to back penalties late in the first, overlapping by 8 seconds. They killed off the first not giving up much in the way of chances, and also killed the short 5 on 3 advantage as the period expired. Shots favoured the Bulldogs 13-11 after 20 minutes. The Bulldogs killed off the remainder of the penalty to start the second, but were promptly penalized almost immediately afterwards on what I thought was a pretty soft call. They would again kill it off, but were firmly planted on their heels as a result of it. The Centennials would have a couple near misses hit the post and crossbar and stay out, but they continued to put on the pressure, and took a 1-0 lead when Zak Bowles after some extended time in the zone walked into the deep slot and put a high backhand on net that hit Brody Claeys up high in the shoulder and took a perfect arc to bounce over the line behind him to make it 1-0. Mitch Lipon and Zach Court drew the assists on it at 8:13 of the second. The Bulldogs responded very well to the goal against, as they didn't sag and didn't let the Centennials build off the momentum as they pushed back over the next couple of minutes to get back in it. A fourth straight penalty call against the Bulldogs to open the game would come later in the period, another fairly soft call in my opinion. Thankfully the even up call came just four seconds later which brought about four-aside hockey. The Bulldogs would tie the game during 4-on-4 as Owen Johnson made a nice outlet pass to Chris Schutz at centre ice. He would work a give-and-go with Jordan Sandhu over the Merritt line and walk deep down the right side before throwing the puck to the crease where it hit Troy Dobbs driving the net and bounced home five-hole on Lancaster to make it 1-1 at 16:44 of the second for a 1-1 tie after 40 minutes. Shots in the period favoured Merritt 11-5 for a two period advantage for the Cents of 22-18. The Bulldogs would earn their first power play of the game early in the third period, and while they couldn't connect on it they controlled the puck well and generated momentum in throwing 5 or 6 shots on net. They drew another penalty in short order when Adam Donnelly went forward on a draw in the Cents zone, only to have his stick slashed out of his hands. The Dogs would connect on the power play when Garrett Halls went across the blue line to Owen Johnson at the left point. He would put a low slapper on net that was deflected home by Quinn Syrydiuk crossing the slot to make it 2-1 Dogs at 5:45 of the third. The Dogs would protect the lead into the late stages of the game, coming up with a big four minute penalty kill when Marshall Skapski was whistled for retaliating after a elbow to the head from Nick Germain that went undetected. The Dogs held the lead until the final two minutes, but the Centennials got the goalie out with a faceoff in the Dogs end and capitalized on it as Nick Germain took a perfect back-door pass that he roofed past Claeys to make it 2-2 at 18:30 of the third period. Michael Faulkner and Ryan Roseboom picked up the assists as the game went to overtime. Shots in the third favoured Merritt 11-10 for a 60 minute advantage of 33-28. Overtime would end quickly as the Dogs failed to get the puck out, while also covering the front of their net as Mark Oshaughnessy found Nick Germain uncovered, where it snapped one home far-side low past Claeys at 39 seconds of overtime for the 3-2 final. Shots in overtime favoured the Centennials 2-0 for a game total of 35-28 with Brody Claeys earning third star honours while taking the loss, with Colten Lancaster taking second star honours while picking up the win. The Dogs went 1 for 3 on the power play while the Centennials went 0 for 6. With the point earned, the Dogs are now tied with the Grizzlies for the final Island playoff spot. They conclude their road trip tomorrow in Surrey, a 4:00pm start. 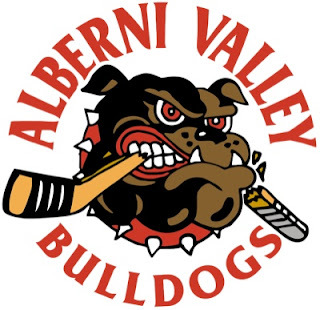 It's the second meeting between the teams in just six days as the Bulldogs (20-27-3-4, 5th Island) play their second to last road game of the Regular Season when they visit the Centennials (20-30-4-1, 5th Interior) tonight in the cozy confines of the Nicola Valley Memorial Arena. The Dogs were in Prince George last night where they picked up a single point in playing to a 2-2 tie with the Spruce Kings. The Centennials were also in action last night, as they were in Trail where they lost their second in a row, 6-4 to the Smoke Eaters. These teams of course just met on Sunday afternoon at the Dog Pound, a 7-2 Bulldog win. The Dogs will be facing a team in a position very similar to theirs, as the Centennials are on the outside of the playoff picture and looking in. They will be desperate and hungry, and no doubt also motivated to exact some measure of revenge after the Dogs beat them on Sunday. 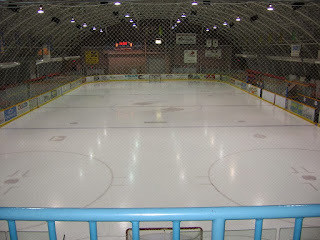 The Dogs can ill afford to take the Cents lightly, and they can ill afford to not be at their absolute best as the Nicola Valley Memorial Arena is another smaller than regulation ice sheet at 85 x 187 and things happen very, very fast out there. No shot is a bad shot in this rink, no matter where you are taking it from, in my opinion. The Dogs need to be ready to play phsyical and push the pace as the Centennials know what their rink is all about and they'll no doubt hope their home ice advantage can be a difference maker. 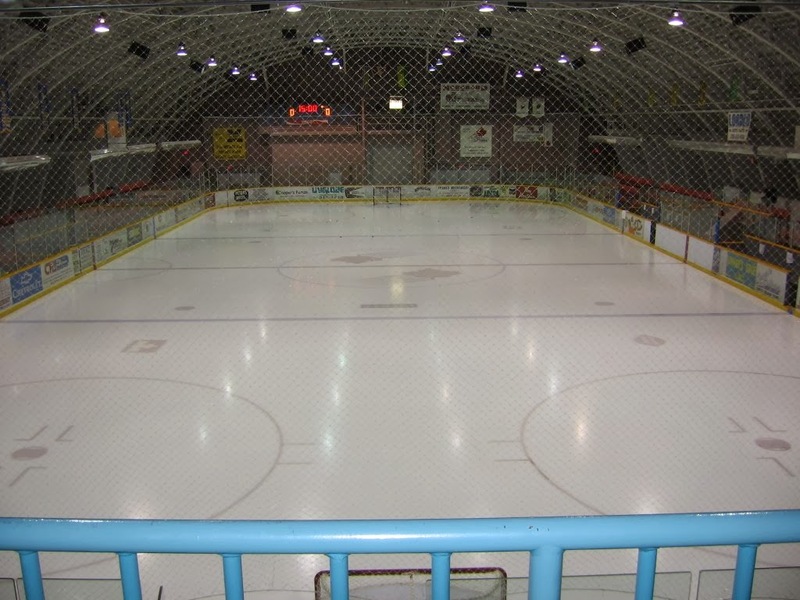 Here's a look at the Nicola Valley Memorial Arena in video form. The video is several years old now, and thankfully the heaters you see below as of last year were relocated and are no longer a factor when it comes to the broadcaster's sight lines of the rink! 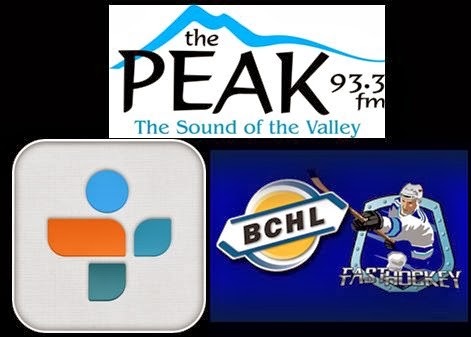 Don't miss a minute of the action on Van Isle Ford Bulldogs Hockey on 93.3 The Peak FM, starting with the pregame show at 7:15 with the puck drop and play-by-play to follow at 7:30. Tonight's 2nd Intermission guest is Kyle Balzer, play-by-play voice of the Surrey Eagles. The Bulldogs visit the Eagles tomorrow to wrap up the road portion of their 2015-2016 Regular Season for a 4:00pm puck drop at the South Surrey Arena. Everything the Dogs lacked in the first, they brought in the second as off the opening puck drop the desperation was obvious in their play as they pushed the pace and forced the Spruce Kings into three straight icings in the first 50 seconds of the period. They would be rewarded for it just 16 seconds later as Troy Dobbs retrieved a dump in an made a nice head man pass up the middle of his own zone for Adam Donnelly. He made an equally nice feed through centre ice to Nathan Dingmann at the Prince George line, where he flew threw the defence and in on goal where he went top corner, far-side high past the blocker of Joseph McLeod to make it 1-1 at 1:06 of the second. The Dogs continued to press, and had a couple great chances before getting the go ahead marker two minutes later when Jordan SAndhu worked the puck back to the right point for Garrett Halls, where he snapped one on net along that ice that hit the post and stayed out, only to then be jammed home on the scramble by Tristan Bukovec to make it 2-1 Dogs at 3:19 of the second. The Dogs wouldn't be able to build their lead throughout the period despite too many glorious chances to mention. The most notable was an empty net chance in the dying seconds of the frame when Ryan Finnegan intercepted a misplayed puck back of the net by McLeod and threw it to the slot for Adam Donnelly. He would pound a slap shot at the empty net, that either hit the back bar, or the cross bar. It was too close for me to call, and the Officials didn't appear convinced either way. In the end it was no goal, with the Dogs leading 2-1 after two, out shooting the Spruce Kings 15-7 to lead the shots after 40 minutes 19-18. The Dogs didn't have the jump in the third they had in the second, and were unable to carry much of the play or generate many chances through the first half of it. The Spruce Kings would get the equalizer just over seven minutes into the third on a pass from behind the goal line out to the top of the crease that was one-timed home five-hole by Tanner Campbell through the legs of Claeys for his second of the game to make it 2-2 from Jarod Hovde and Kyle Johnson at 7:24 of the third. There wasn't much in the way of glaring chances the rest of the way, until the Bulldogs drew a four minute power play with just over five minutes to play in regulation. They weren't able to generate a Grade A chance to get the winner before they took a penalty two minutes into it to make it four-aside hockey. 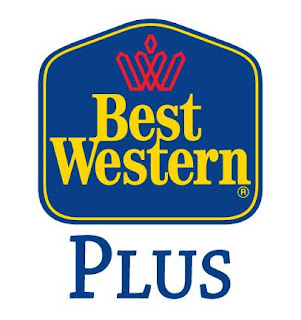 The Spruce Kings would have a glorious chance on an odd-man rush to win it with under a minute to play, but Brody Claeys came up with a game saver on Braiden Epp to keep the game tied and force overtime. Third period shots favoured the Spruce Kings 8-5 for a 60 minute advantage of 26-24. The Spruce Kings would have three fantastic chances to win it early in OT, but Brody Claeys saved the day on first Ryan Fritz in alone, and then Kyle Johnson twice on a net drive and a rebound. The Dogs would also get their chances through overtime, but nothing at the quality of the chances the Spruce Kings had. 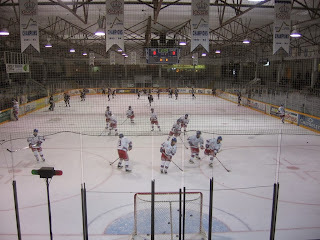 The Dogs out shot the Spruce Kings 6-4 in the first overtime, and the shots were tied at three aside in the double OT. In the end neither team would find the net through the first or second overtime as the game ended in a 2-2 draw. Shots were even at 33-33 with Brody Claeys earning 2nd star honours while Joseph McLeod took third star honours. The Dogs went 0 for 4 on the power play while the Spruce Kings went 0 for 2. With the tie the Dogs are unbeaten in two, and are now a single point back of the Grizzlies for 4th place in the Island Division. They visit Merritt for a 7:30 start tomorrow night. 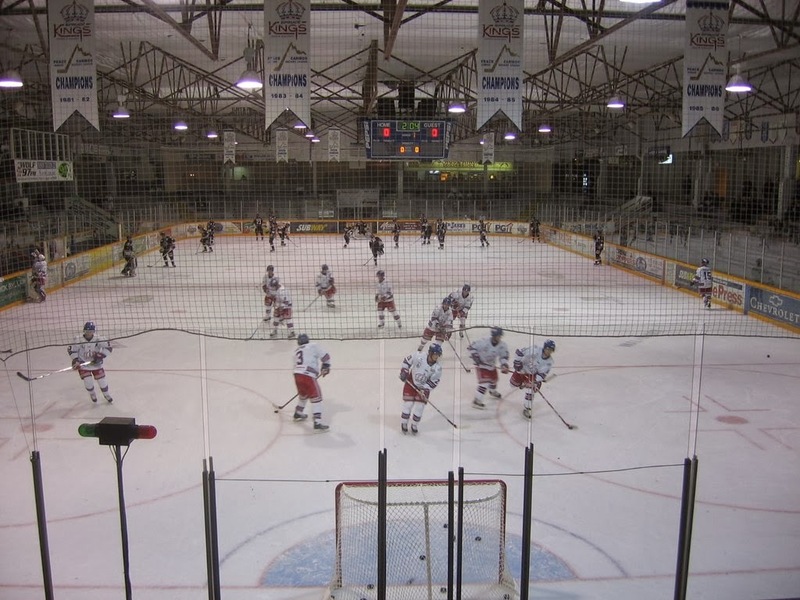 It's the start of a three game Interior/Mainland swing tonight for the Bulldogs (20-27-3-3, 5th Island) as they visit the Prince George Spruce Kings (12-38-4-1, 5th Mainland) at the Rolling Mix Concrete Arena. These teams last met November 7th at the Dog Pound, a 4-3 Bulldog win in overtime. The Rolling Mix Arena - formerly known before this year as the Prince George Coliseum (it will always be the Coliseum, or Castle to me!) is always a tough place to play, so the Dogs had best be ready to play. Every rink is a tough one to play in, but the Coliseum is perhaps a tad tougher for most teams out of the Mainland Division that only visit it once a year due to the fact that it's unique. The playing surface is 10 feet shorter than a regulation sheet at 190 feet versus 200 feet. Not only is the surface a different size, but the corners are very square and the boards and glass are very active and have some unique bounces. Not only did I forget that I had this video on my youtube channel, I also forgot how awesome it was as "Grandma Hockey" makes a cameo, ha! The Dogs need to explore and experiment a bit throughout warm up and throw some pucks around. Having said all of the above, their biggest focus needs to be the fundamentals and work ethic and their level of desperation, because unique ice surfaces is going to be a theme of this weekend and the Dogs need to find a way to win, period. I'll have all the action for you on Van Isle Ford Bulldogs Hockey on 93.3 The Peak, starting with the pregame show at 6:45 with the puck dropping at 7:00. Tonight's 2nd Intermission guest is Alex Carrigan, the play-by-play voice of the Merritt Centennials on Q101 FM in Merritt with the Bulldogs paying the Cents a visit tomorrow night for a 7:30 puck drop.